Chile-based architect Alejandro Aravena has won this year’s prestigious Pritzker Prize for architecture, intended to honor a living architect who demonstrates talent, vision, and commitment, and who has produced significant contributions to architecture. As part of the award, Aravena will receive a $100,000 grant. “His built work gives economic opportunity to the less privileged, mitigates the effects of natural disasters, reduces energy consumption, and provides welcoming public space. Innovative and inspiring, he shows how architecture at its best can improve people’s lives,” Pritzker added in a statement. 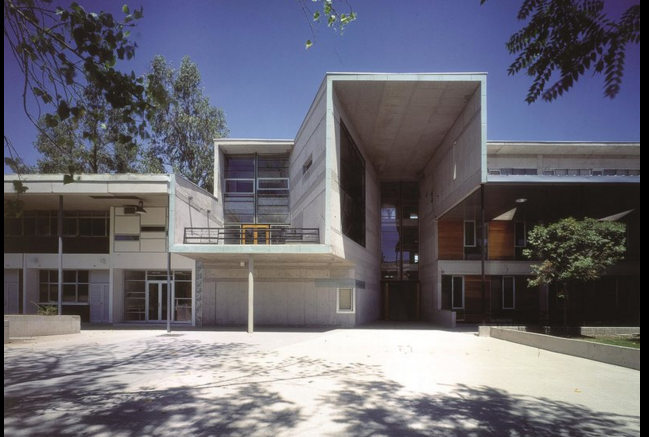 Aravena’s buildings include the Universidad Católica de Chile in Santiago, including many of its additional components and schools. His buildings are energy-efficient and respond to the local climate innovatively. Other buildings are currently under construction in Shanghai and in Austin, Texas, where he is building dorms for St. Edward’s University. In an essay for The Guardian, Aravena explained that his interests in architecture are strongly relative to the context and environment in which it is built. His buildings rely on local resources for construction, and his most ambitious project thus far, founding a firm called Elemental, is dedicated to finding ways to build socially-conscious housing for low-income communities. “The battle for a better-built environment is a collective effort that requires everybody’s force and knowledge,” Aravena wrote.